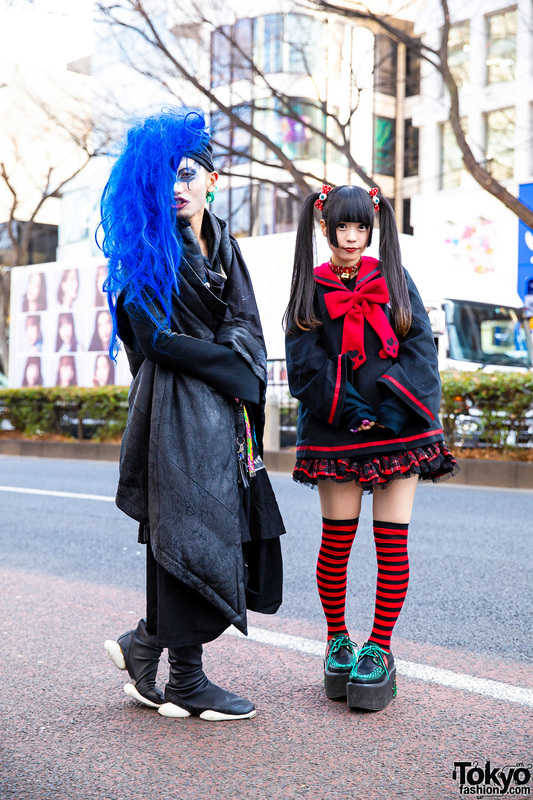 Harajuku duo catching our eye on the street with their impressive streetwear styles and bold hairtyles. Kyoto Pop Icon & Kawaii Monster Girl Asachill in Shibuya sporting an all black outfit with Joyrich sheer polka dot blouse, bralette top, pleated skirt, booties, fur stole and boom box bag. 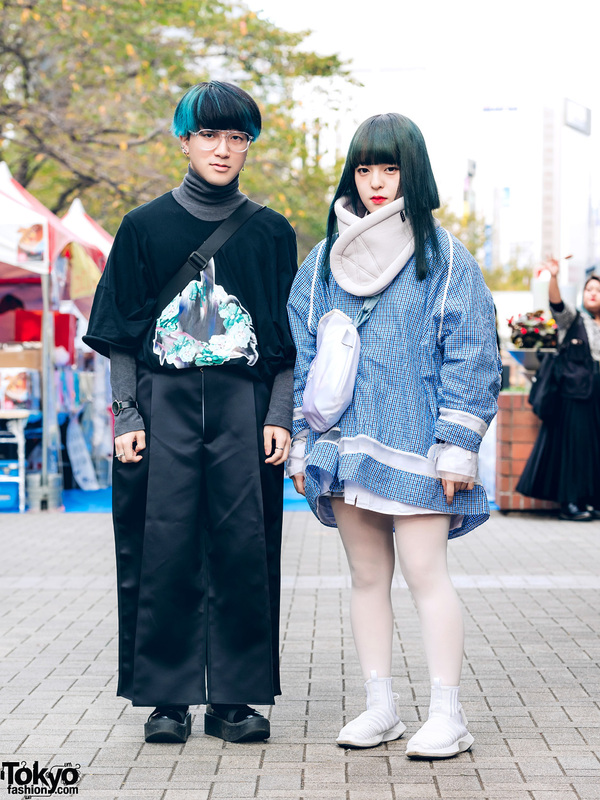 Japanese girls sporting colored twin tails and monochrome streetwear styles while out and about on the Harajuku street. Japanese student sporting a braided updo in Shibuya wearing a cropped satin jacket over a red turtleneck top, resale floral print pants, fuzzy heels and a ruffle heart LHP bag. WEGO shop staff and model clad in a chic black outfit while out and about on the Harajuku street. Balmung street styles on the street near Bunka Fashion College in Tokyo. Harajuku girls clad in a mesh coat, t-shirt and skirt, one-legged jeans, tall boots and accessories. Green-haired Japanese student in Harajuku clad in sleeveless top, miniskirt, platform sandals, and a clear crossbody bag. Harajuku girls sporting Japanese school uniform inspired street styles.